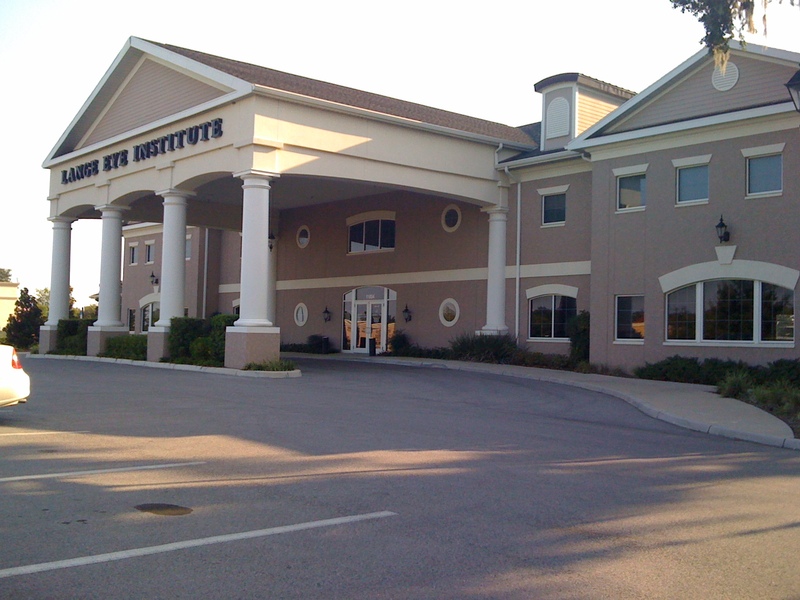 Lange Eye institute | Lange Eye Institute for cataract surgery. Where do you go if you have macular degeneration and live in The Villages? Macular degeneration treatment in the Villages . 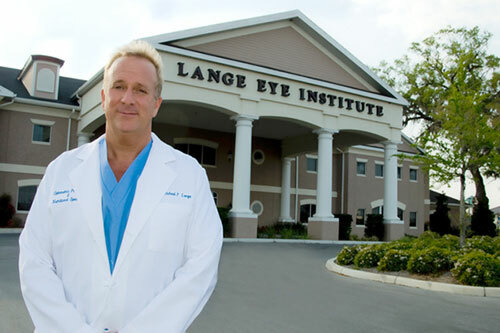 Dr. Michael Lange in front of The Lange Eye Institute in The Villages Florida. Diagnosed with macular degeneration can be a scary thing. However people must realize you never go blind from macular degeneration states Dr. Michael Lange founder of The Lange Eye Institute in The Villages Florida. We now know a lot more about the treatment of macular degeneration than we did just a few years ago. We have some great injectable anti veg f medications like Lucentis, Avastin and Eyelea. Dr. Shalesh Kaushal our retinal specialist is also using an oral medication called Valproic Acid with very positive results in certain individuals with retinal disease in an effort to slow down this degenerative disease. These injectable and oral medications for macular degeneration have really enabled us to save a lot of vision from the wet form of macular degeneration. We do a lot of eye injections at both the Lange Eye Institute in the Villages and our main Ocala Lange Eye Care retina department. However my goal with my patients is to keep them from ever having to go to see one of our retinal surgeons. Macular degeneration treatment in the Villages leads many with the disease to The Lange Eye Institute. 1000s of Village residents have been listening to Dr. Michael Lange on his syndicated talk show discussing natural ways of slowing down macular degeneration. 1000s of residents have also gone to one of the many lectures on nutrition for macular degeneration Dr. Lange has put on in the Villages. Dr. Lange has been involved in Research and Development of vitamins for macular degeneration for many years. he has developed a formula called Fortifeye Complete Macular Defense that is being used by 1000s of macular degeneration patients throughout the world. 100s of ophthalmologists and optometrist throughout the country are recommending Fortifeye Vitamins for their patients with Macular degeneration. Dr. Lange states that when a patient comes to the Lange Eye Institute with macular Degeneration they will be amazed at how different their treatment is from our center compared to where they have been receiving eye care. We go over their diet, lifestyle modifications, proper supplements, weight loss, sleep, exercise, sunglasses and even proper hydration with these patients. We will help them to become proactive in their future retinal health through these type of adjustments. We have a very high success rate at helping to slow down macular degeneration. Lange Eye Care has also had many patients with macular degeneration improve once these dietary and life style changes are started. So if you have macular degeneration and you live in the Villages set up an appointment to see Dr. Lange or one of the great doctors that are in tune with nutrition for macular degeneration at Lange Eye Care. Learn more at www.langeeyecare.com or www.drmichaellange.com and www.fortifeye.com or i the Villages call 352 753 4014. Eye care in the Villages is what the Lange Eye Institute is all about!